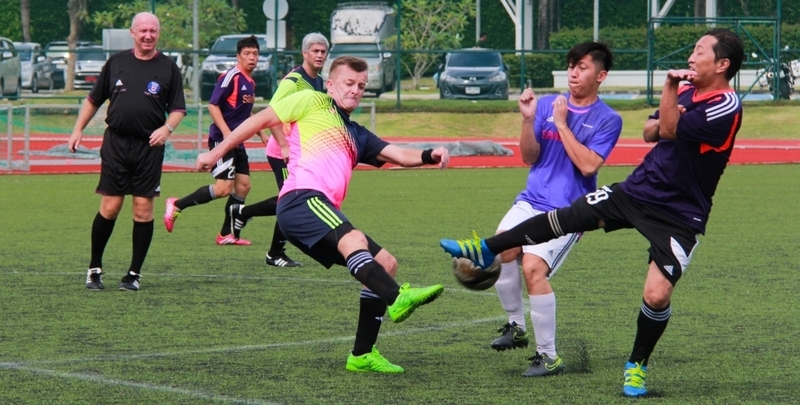 Thailand Soccer 7s are international Football Tournaments held in Bangkok and phuket island. The One and Only! Held each year during 2 weekends in the month of November, with over 90 Teams from 25 countries. Organized during the Thailand Water Festival in the middle of April, the Songkran 5s is held in Patong Beach. The Exclusive Women Soccer 7s Tournament in the Asian region with a dozen of teams from all over the World. The Bangkok 7s and Pattaya 7s tournaments are held in during the month of June, for Open and Masters Categories. We are now taking expressions of interest for the 2013 Andaman & Phuket Soccer 7s. Participating teams last year tournament will be given preference until 1st June 2013. If your team is not in the following list for the 2013 Andaman & Phuket Soccer 7s, thanks to contact us ASAP for registration. KL Misfits, Malaysian Grasshoppers, French Team 1, French Team 2, Alexander Fiona FC, Hong All Stars, PJ Wildest, Welcome Sydney, Boca’s Juniors, Bombay Gymkhana, Hanoi Drink Team, Hibernians Singapore, Savills FC, Shanghai Krauts, Shanghai Lions, Boca Seniors, CinemaOnline, Hanoi Drink Team Masters, Hibernians Singapore, Hong All Stars Masters, Northern Lions, Savills FC, Singapore Nord, Spartans FC, Rangers FC. Please noted that this year, each category will be limited to 20 teams maximum. We welcome you to the 2nd Songkran International Soccer 7s. Songkran is the traditional Thai New Year. This is the time for Thais to pay homage to Buddha images, clean their houses, and sprinkle water on their elders in a show of respect. Anyone who ventures out on the streets is likely to get a thorough dousing of water, all in good fun, but also quite welcome at the peak of the hot season. Due to the number of teams we will hold this tournament over one day only but you will still enjoy the same number of games and parties as you would if it was a two day tournament. It will just give you some more time to enjoy the festivities of Songkran. The magnificent Thanyapura Sports and Leisure Center will again be the venue for the tournament and our parties will be at the usual Soi Crocodile and Taipan Discotheque venues. It will be impossible to remain dry during these parties so embrace the tradition of Songkran. Special thanks to Molten provider of the VG5000 soccer balls and The Phuket News our tournament media partner. Enjoy the tournament and have a great time in Phuket. Hong Kong All Stars are the 2012 Champion of the Masters Bowl Phuket International Soccer 7s. Phuket Patong Nightlife VDO, all you can share when you are rocking bangla road during the Phuket Soccer 7s tournaments in Phuket Island, Thailand. 2008 Phuket Soccer 7s VDO Celebration at Tweety Bar in the Soi Crocodile in Bangla road (Patong Beach), with Tokyo Hibernians (Japan) and Shanghai Krauts (China). Russian TV Sport News report by Russian Phuket TV about the 2012 Phuket International Soccer 7s Tournament held on last November in Phuket Island, Thailand with over 90 teams from 25 countries. VDO from the 2012 Phuket Soccer 7s by Russian Phuket TV. The new Phuket Womens Soccer 7s Facebook Page is now online! Thanks to visit the Facebook page at www.facebook.com/PhuketWomen7s, then click “LIKE” if you want to support the organisers & ladies to boost the next Phuket Womens Soccer 7s (November 2013) as one of the top ladies soccer 7s tournament in Asia! Soccer Tournaments, Friendly Games, or Training Camps in Thailand. JUST ORGANISE YOUR TEAM, WE DO THE REST!